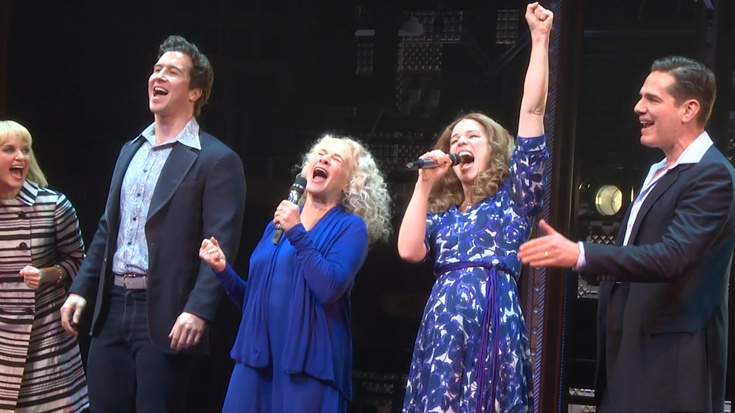 It's one fine day because Beautiful: The Carole King Musical celebrated five years on Broadway in the most special way this weekend. Carole King made a surprise appearance during the January 12 evening show and performed, you guessed it, as herself. King took over the role from star Chilina Kennedy during the show’s final scene, which re-creates her 1971 Carnegie Hall concert, and sang "Beautiful" at the piano. Kennedy and the rest of the cast joined King for curtain call where they all sang "I Feel the Earth Move" before King made an emotional speech thanking the audience for keeping her story alive on Broadway. Watch the video of the show-stopping moment below and be sure to check out the celebrated musical for yourself.